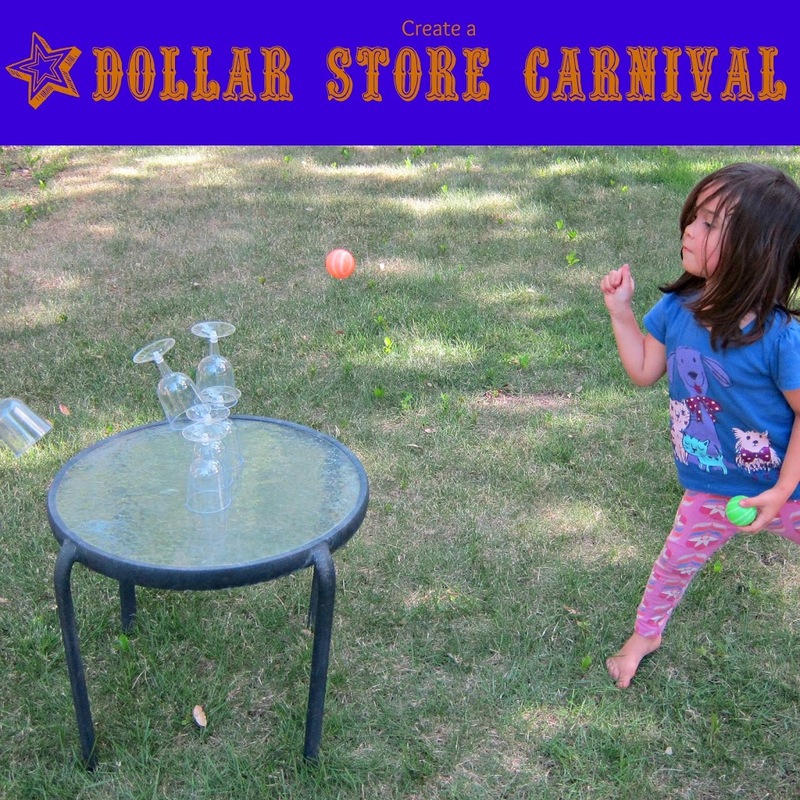 Purchase several brightly colored plastic table clothes from the party section at Dollar Tree to make your carnival back drop. Set up a clothesline and hang each cloth from the rope. If it’s windy you will need to weigh down the ends of the cloth. Open the pack of glasses and attach the base to the stem of the cup. 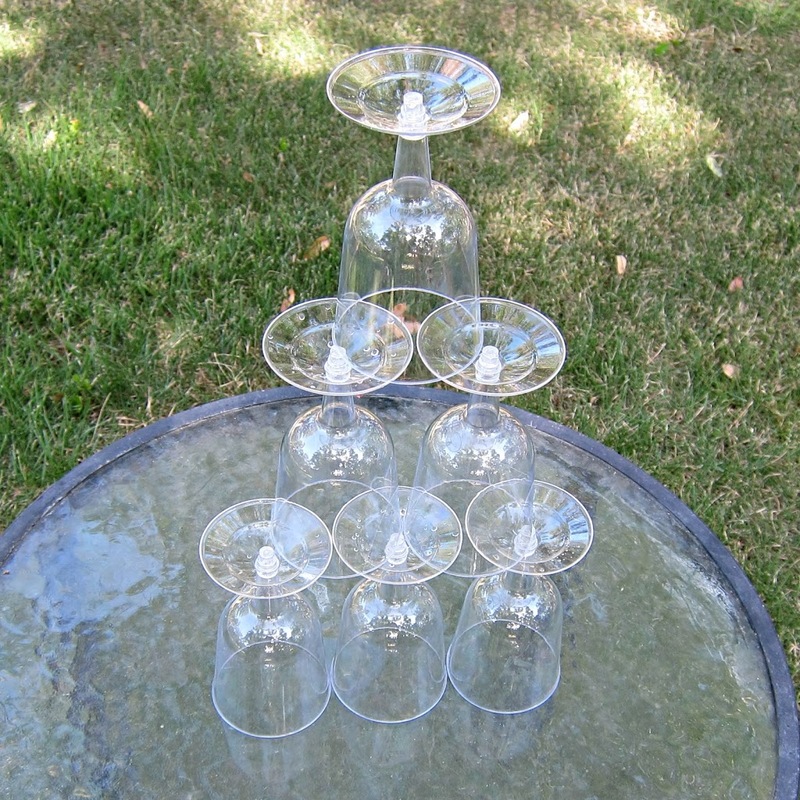 Arrange the cups to form a pyramid. 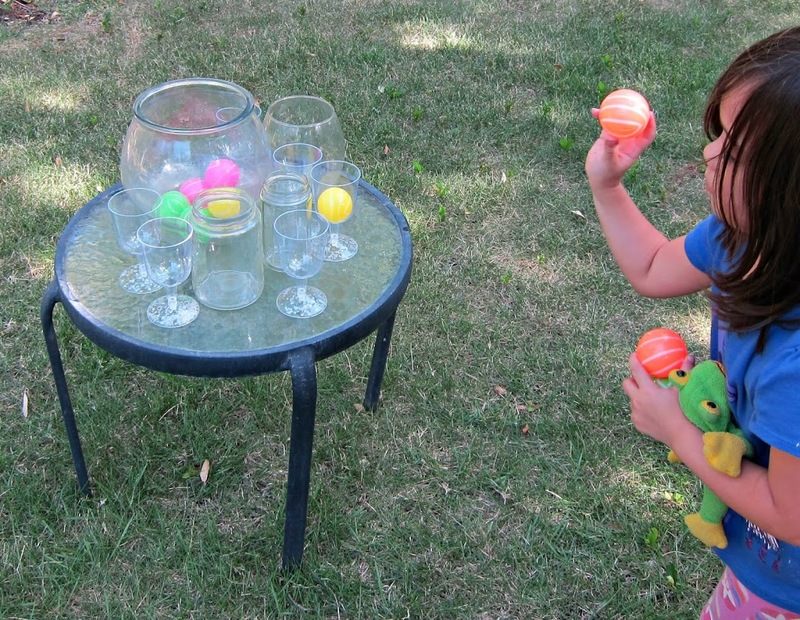 The point of the game is to knock all the cups off the table by throwing a ball. Open the pack of glasses and just use the base of the cups. Glue them on to a wood board as pictured. Set the balls on top of each stand. 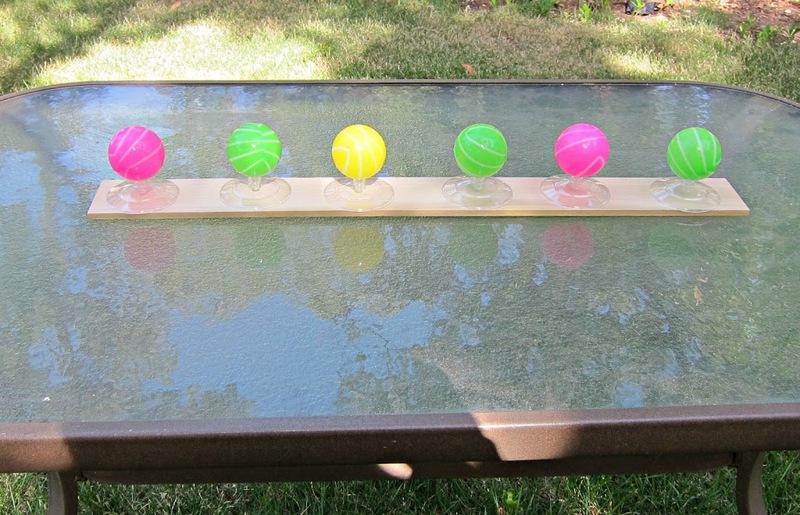 The objective of the game is to use a water squirter to knock all the balls off the table. 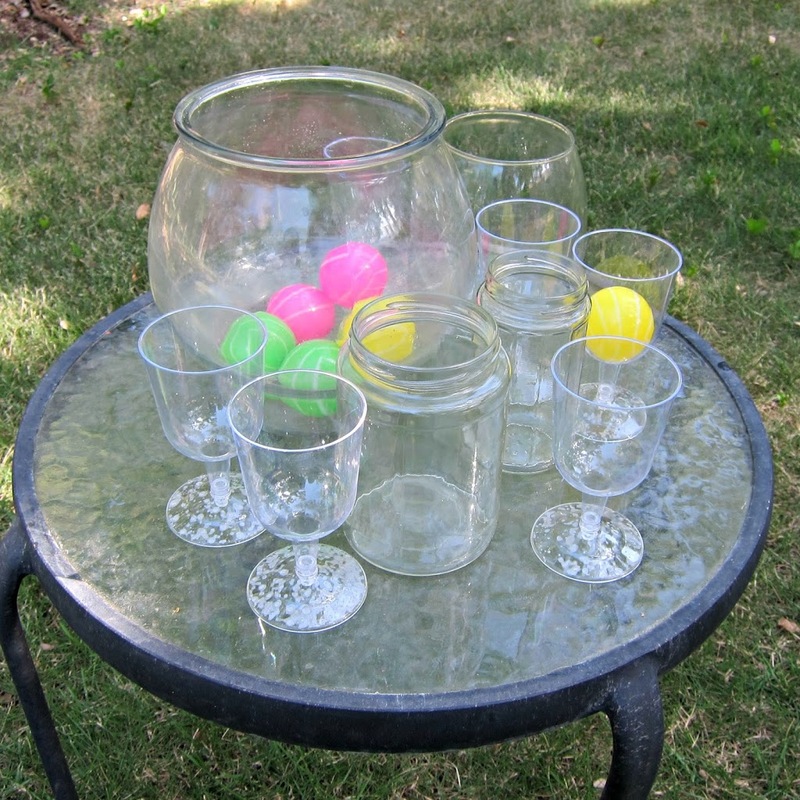 Arrange several different sized glass bowls and cups on a table. Participants try to throw the balls into the containers. 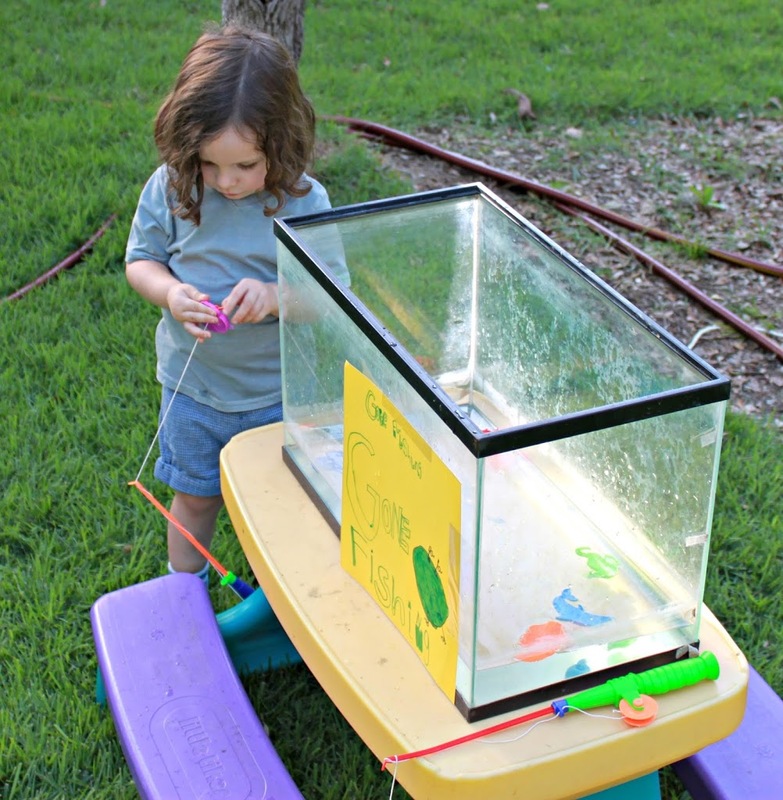 Use an old aquarium and a magnetic fishing game from the dollar store. Participants try to “hook” a fish. Using a bottle and plastic bracelets, each participant attempts to throw a bracelet onto the neck of the bottle. Carnival tickets are available in the party section at Dollar Tree. Children can earn a ticket after playing each game and redeem them for prizes later. 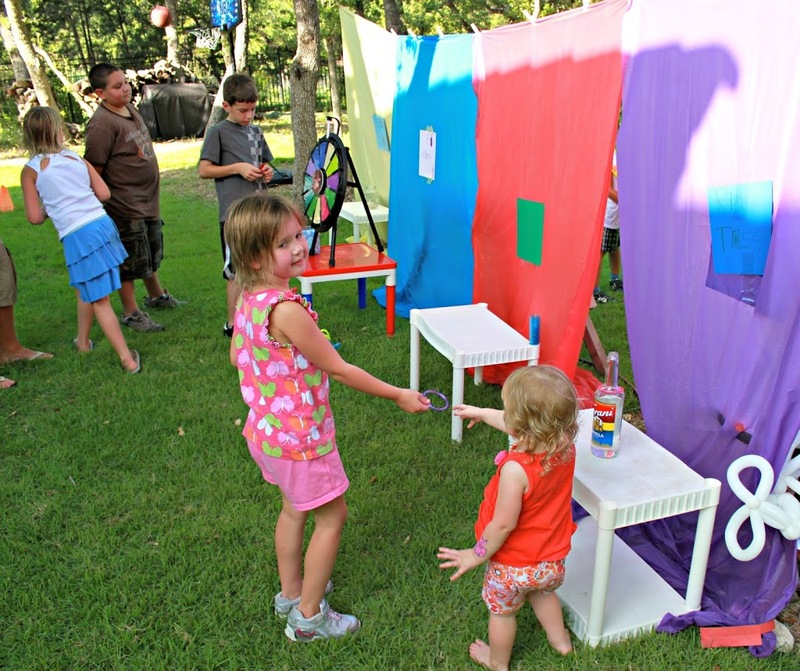 I set up a prize booth at my party, but, honestly, the kids had so much fun with these games that they just kept playing for the joy of it! Cute ideas! My daughter wants a carnival party! Thank you! It’s the easiest and most fun party idea we’ve done. 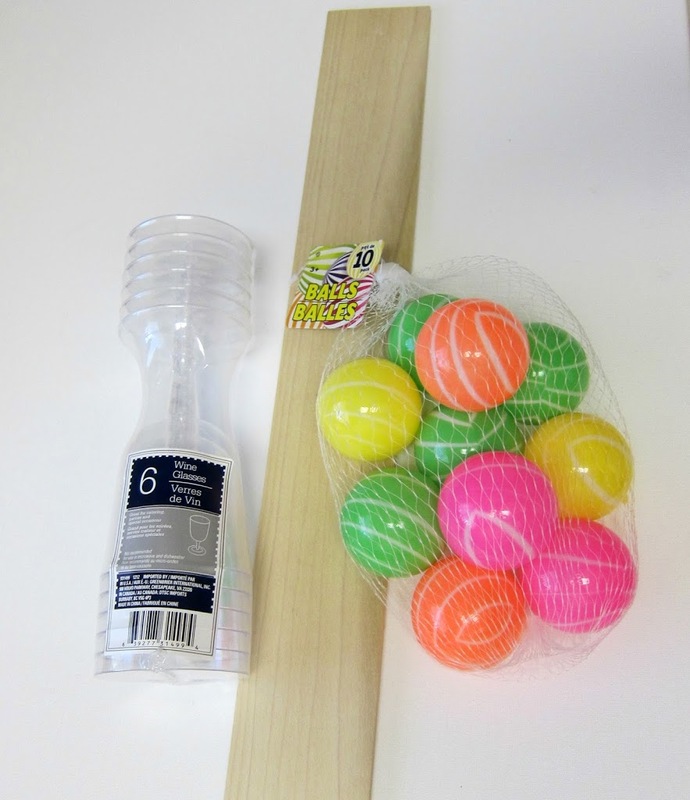 These are perfect for backyard summer fun. Love them, Morena!